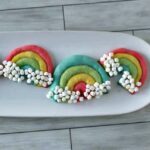 Home » Recipes » Ice Cube Tray Hacks that are Too Cool! 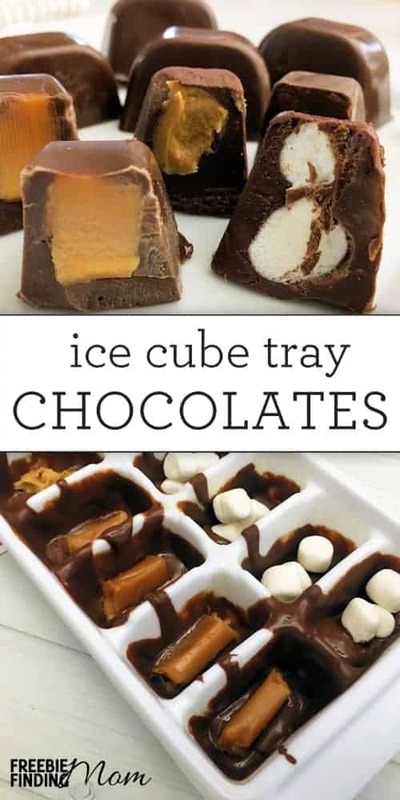 Incredible Ice Cube Tray Hacks that are going to blow your mind!! Gone are the days of the Ice Cube Tray being used for only Ice. Now you can use them for all sorts of things! 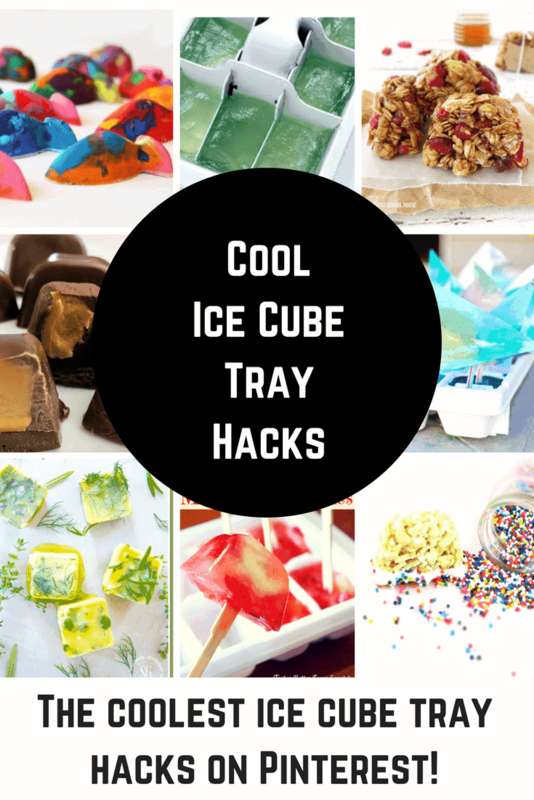 These Ice cube Tray Hacks are too cool for school! Today I am going to share some of the, pun intended, coolest ice cube tray hacks around. I won’t lie, the in-refrigerator ice maker is one of the coolest inventions ever, but the ice tray should definitely still be a part of the arsenal of tools in your kitchen. They can be used for all sorts of things are you, my friends, are about to be thinking… why didn’t I think of that or that is so smart or that would save so much time! Ready to be amazed by these plastic workhorses? Want to get really fun with the ice cube trays? Check out these fun shaped ice cube trays for some really amazing ice cube tray hacks! 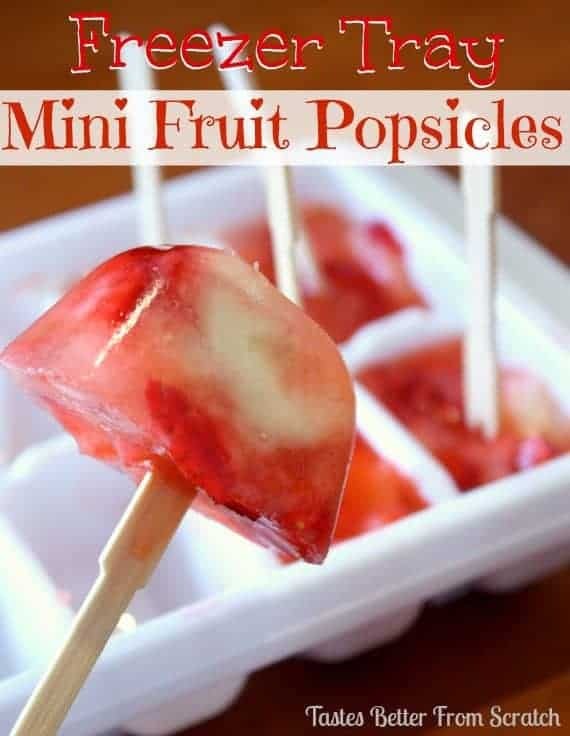 Now I have to admit, when I was younger, we did make our own popsicles with ice trays a few times with Kool Aid, but these freezer tray mini fruit popsicles have been taken to an entirely new level. Tastes Better From Scratch uses real fruit and fruit juice to whip up a batch of adorable popsicles that are not loaded with sugar and additives. I love that you can make these on a whim and you don’t need any fancy popsicle molds. They are also the perfect size for tiny hands for the little ones in your life! Happy Hooligans is the best! She made these amazing Kool Aid Rainbow Ice Cubes. 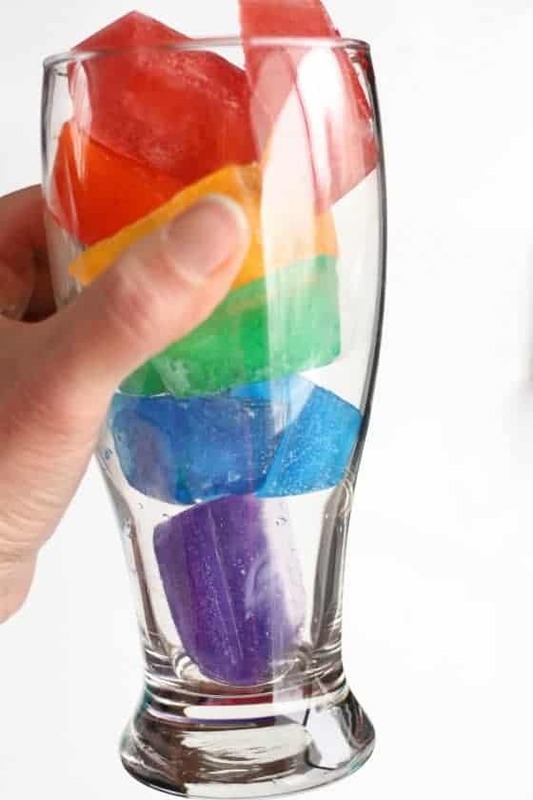 Your kids will love when they begin to melt and become beautifully delicious rainbow water!! I. Can’t. Even. 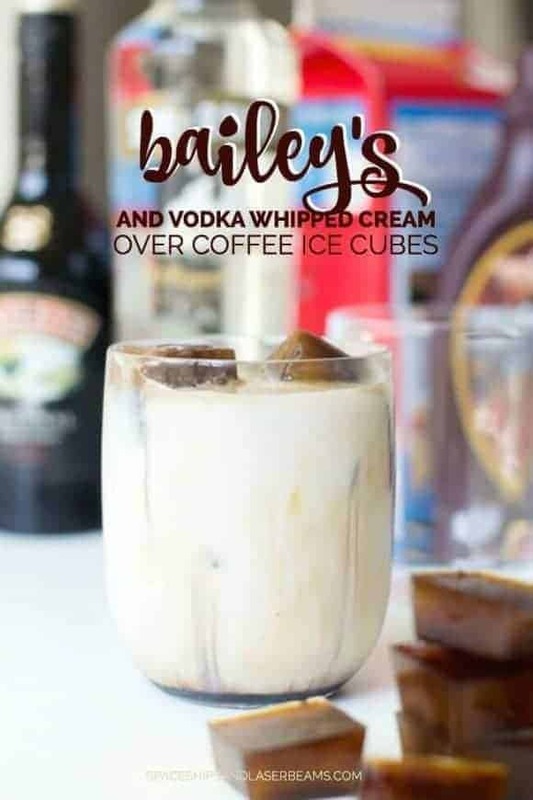 These Bailey’s and Vodka Whipped Cream with Coffee Ice Cubes drink is calling my name 24/7. Spaceships and Laser beams came up with this dreamy drink/dessert and I am all in! Looking for some snack ideas for the summer that healthy and won’t break the bank? 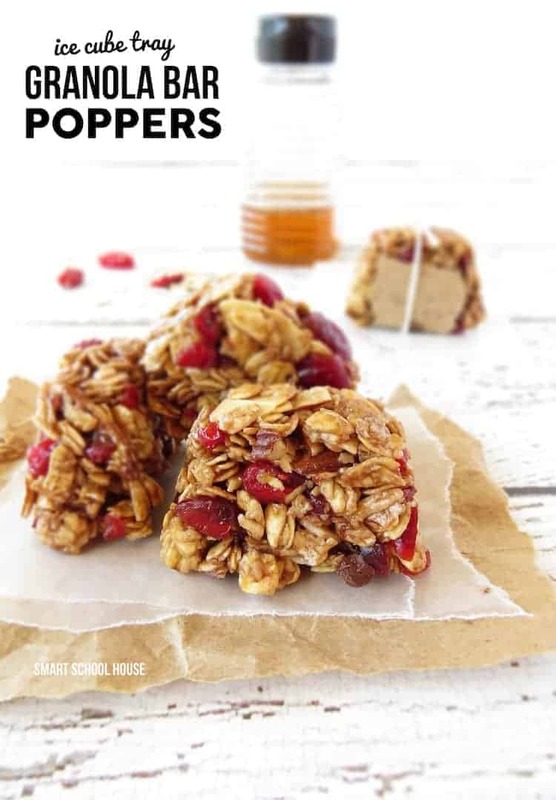 Boy do I have the thing for you… granola bar poppers. If you have never heard of the you are in for a treat! Smart School House was tired of her young kids not finishing an entire granola bar so she came up with the idea of making them in an ice cube tray. You simply whip up the batch of ingredients, put them in the tray, let them cool and they pop right out! This “On Call” Cookie Dough Hack from Good Housekeeping is genius! 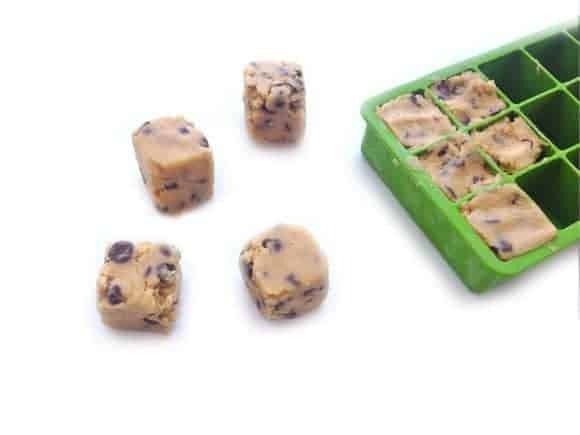 Take some store bought cookie dough and press it into the ice cube tray and pop in the freezer! Leave them there then when you have a cookie craving – just pop 2 or 3 out, bake them according to the package instructions (just add one or two minutes!) Presto – a quick treat! Looking for something a little more indulgent? 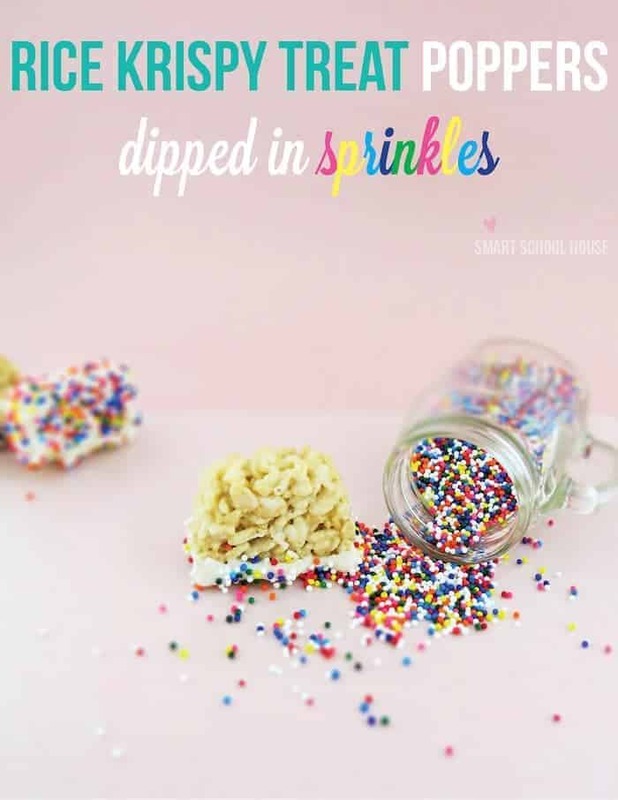 Kelly from Smart School House also makes a version with Rice Krispy Treats… and they are dipped in sprinkles. Perfect for a celebratory snack and small enough that you won’t feel guilty about this sweet treat. 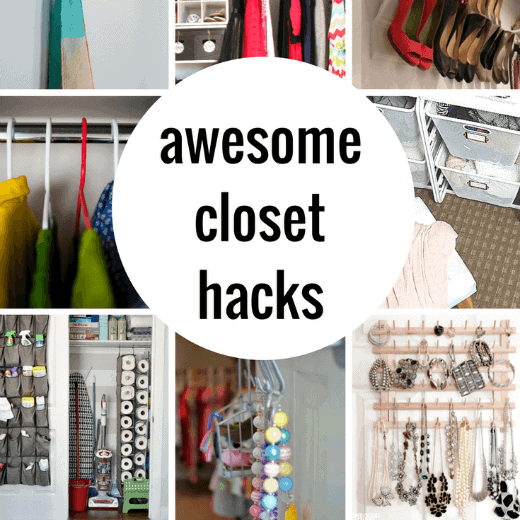 Plus, they are just plain adorable and fun! One of my favorite quotes in this world… “Broken crayons still color”. I just love it and it is so true. It shows that beauty can be made from what is broken and in this case these adorable fish can be made from crayons that were destined for the trash bin. 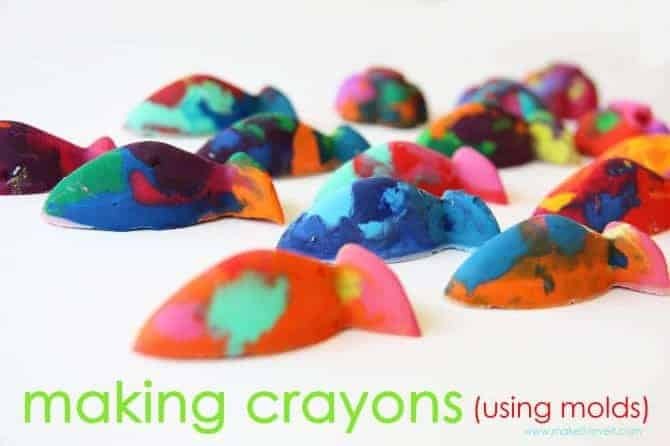 Each year Skip to My Lou does a summer craft camp and these DIY crayons using ice molds was a part of that amazing series. It does require the use of a silicone ice mold, but many of us have those from Ikea and our local big box stores. I simply love this idea, because you can recycle and reuse and the sky is the limit on what shapes you can create and what you will create with those crayons. It is almost a double craft and for the summer that can be super helpful, am I right? 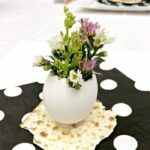 Edible flowers! 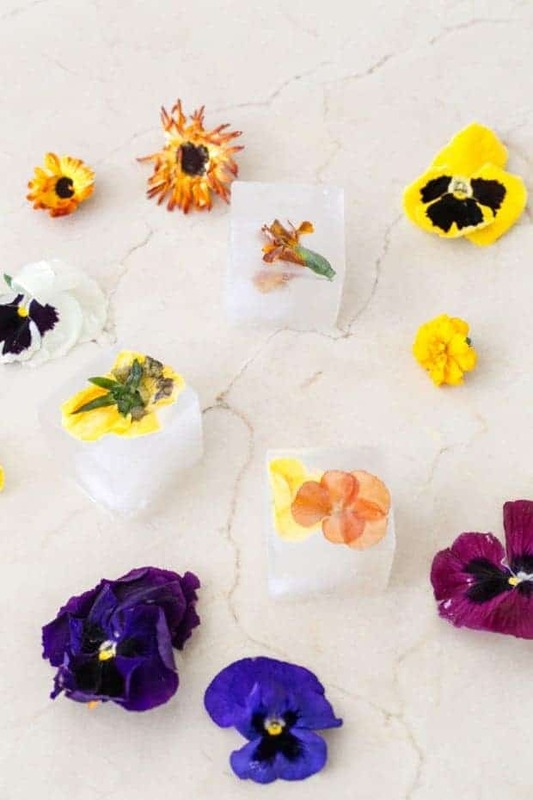 That’s right – Sugar and Charm made these beautiful flower ice cubes for their amazing Berrylicious cocktail! 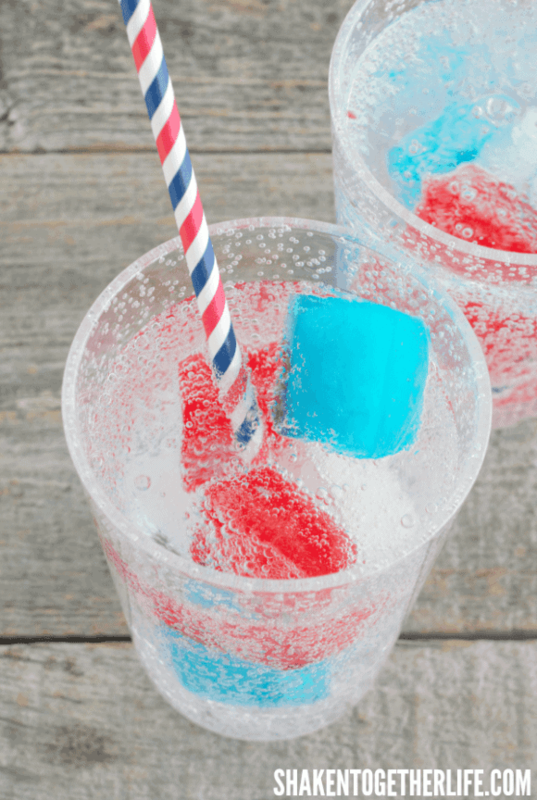 Fourth of July, Memorial Day, Labor Day – whenver, you just need to make these Red White and Blue Jello Ice Cubes from Shaken Together Life. Pop them in a soda or glass of water and guess what – FROZEN JELLO DOESN’T MELT!!! Cannot wait to try these out! Seriously… I’m drooling and dreaming about holiday baking at the end of June. How could you not drool over Ice Tray Chocolates? They are like a dream come true. Fancy tasting chocolates, perfectly shaped and made in less than 10 minutes. I may be in love with Freebie Finding Mom and her amazing chocolates. Can’t you just picture yourself whipping out a few trays of these beauties and half of your gift list is taken care of? Well, if you can stop yourself from eating them first! The Dumbelle is quite the little genius with her fancy way to soothe a sun burn. She puts aloe vera in an ice tray and freezes it for the ultimate comfort when you are suffering from a burn. 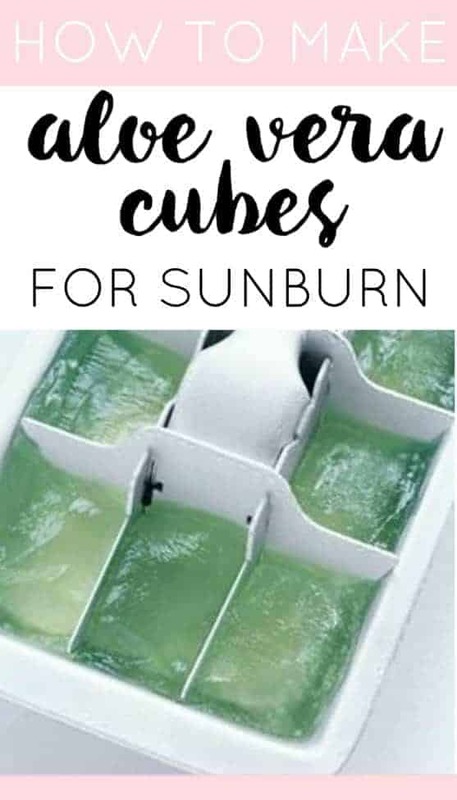 There is nothing worse than that feeling of being sun burn, but this would be such a great helper! Tucking this one away for the next time I get a burn. 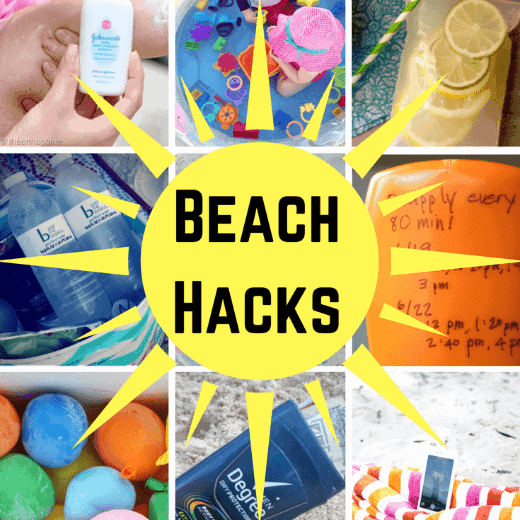 If you have kids at home for the summer and you hear “I’m bored”… this would be so much fun! 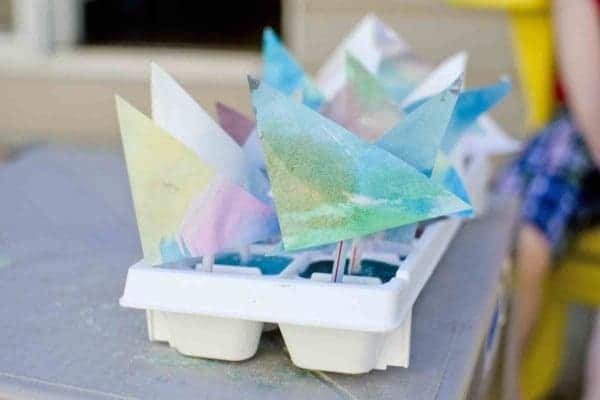 Make colorful ice sail boats. It would take a little bit of prep, but Busy Toddler shows us how the kids would even love to join in on the fun of making the sails and coloring the water. Just think of the anticipation that everyone would have as they waited for the boats to freeze. Stonegable loves to garden in the summer and growing fresh herbs is definitely a highlight. The problem is that how do you keep and use them all year long. You grow so many, but what can you do when you have a fabulous bumper crop full of delicious herbs in all flavors? Freeze them! 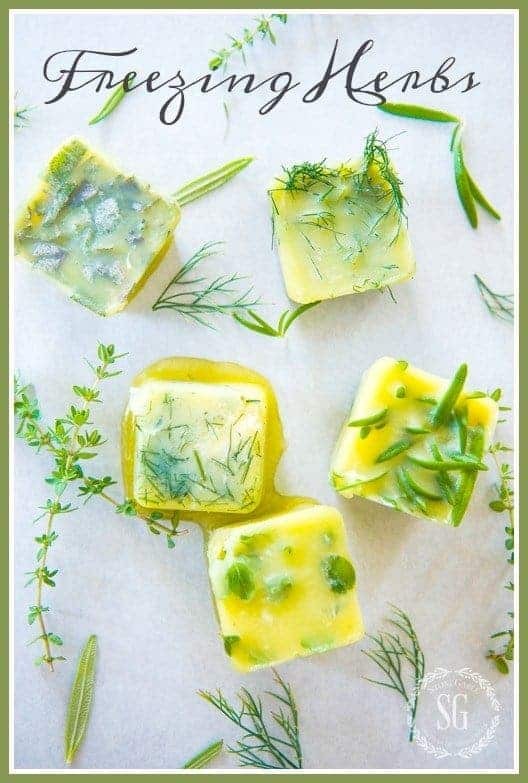 Grab your fresh herbs, cut them and freeze them with olive oil. Such a smart lady and a great idea that I plan to steal! Having a Frozen Birthday Party? If you have a little girl, you probably are! 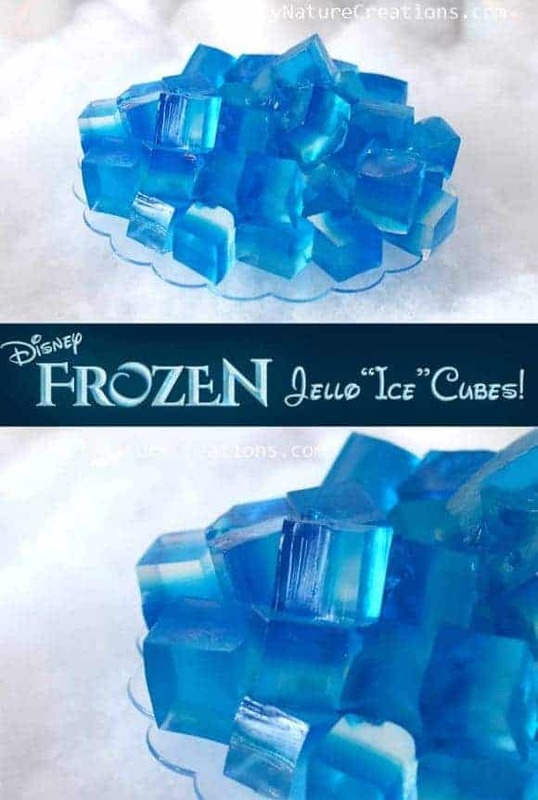 These Disney Frozen Jello Bites from Sprinkle Some Fun are perfect and, you guessed it, they used an Ice Cube Tray to make them! The article is really nice and very useful for the generator users…!!! Thanks..!! !